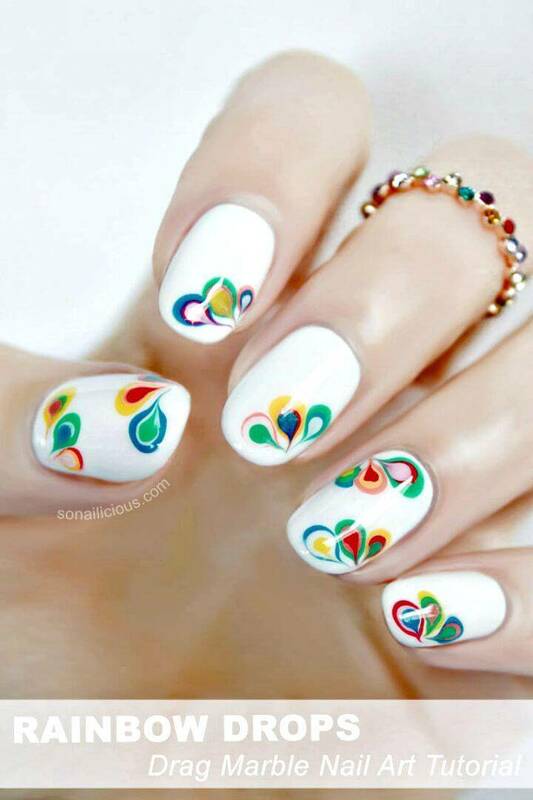 There are many factors that make the personality of the women shine! 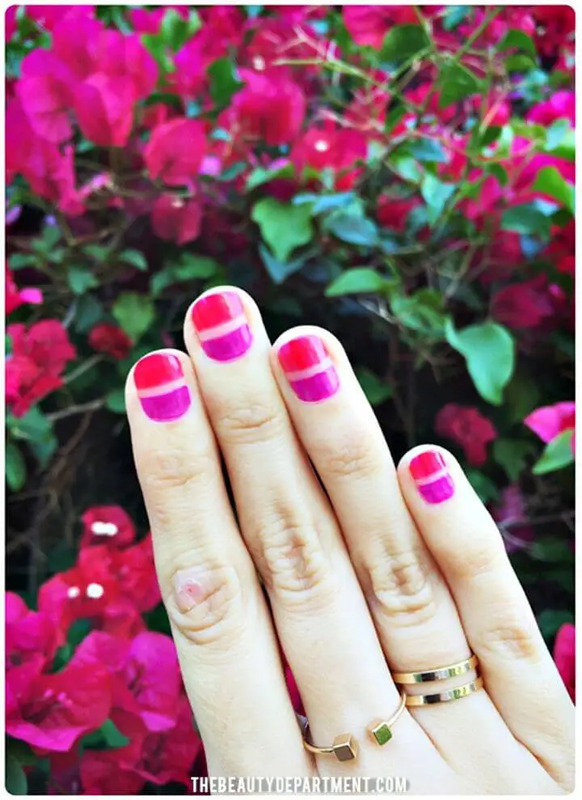 If you are style loving lady and really want to look good and stylish then you must be attentive to your overall personality grooming! 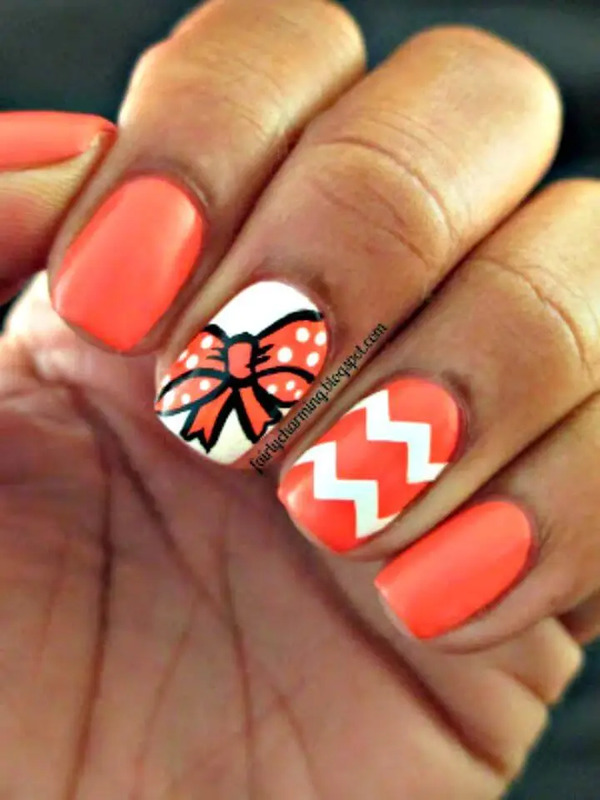 However, there are dozens of mini details that women can add to their personality for an enhanced womanish appeal! 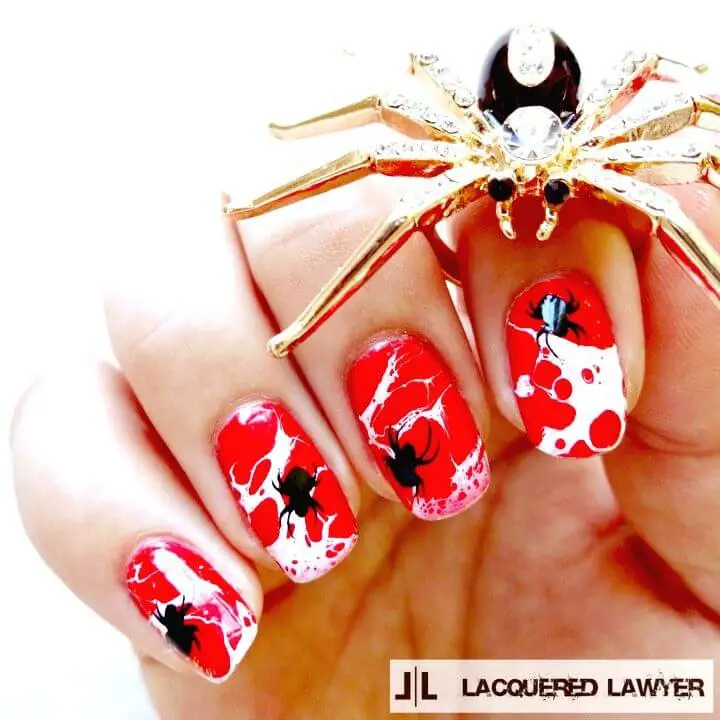 The style loving ladies can just pay attention to various minor factors that can have bigger impacts on overall beauty of a women like they can make their eyes look more beautiful by playing smartly with the eye-lashes, they can adorn their ears, can wear a lovely hairstyle and at the same time they can also make their hands look very beautiful by playing smartly with their nails! 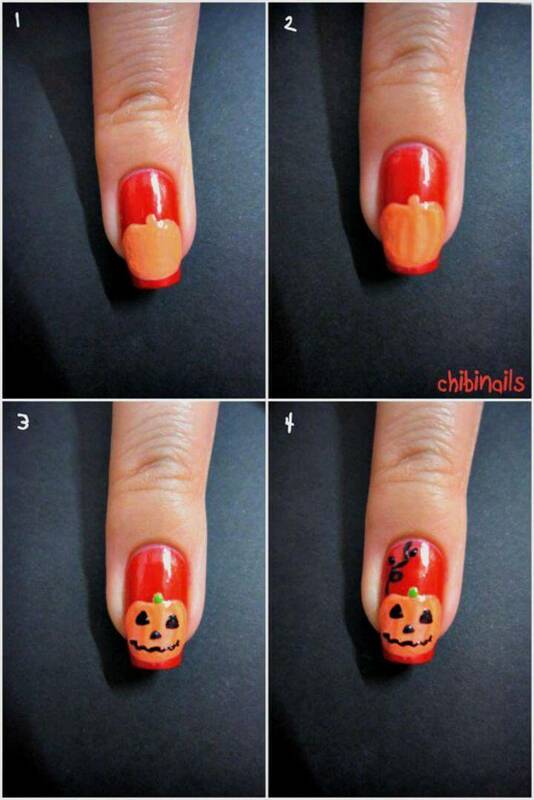 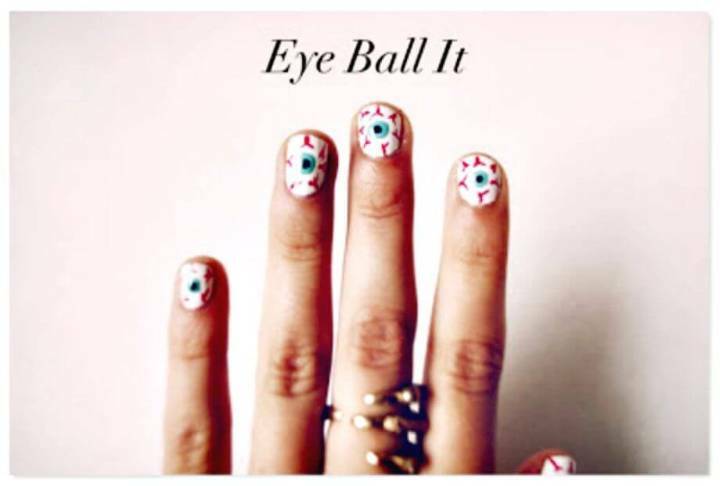 Nails can be the main focus of the style lovers while intending to look prominent in friend’s club! 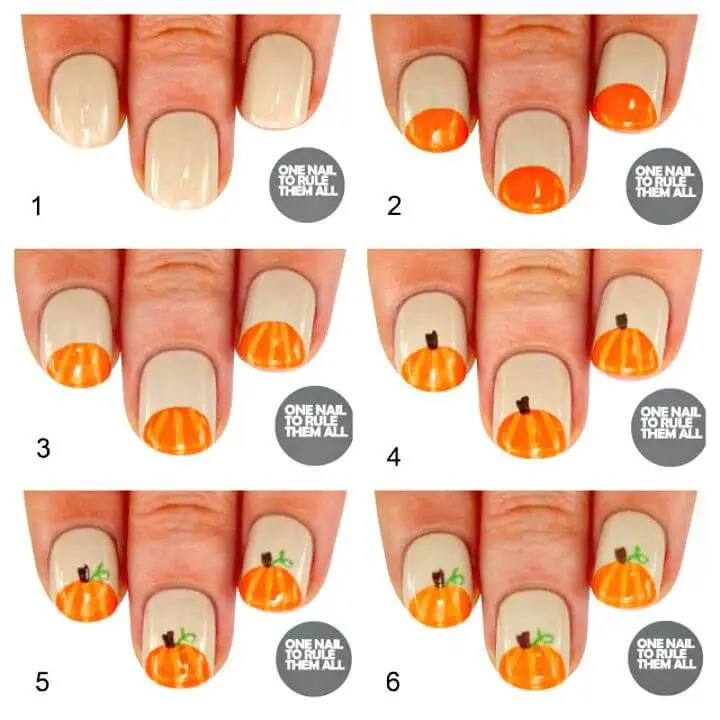 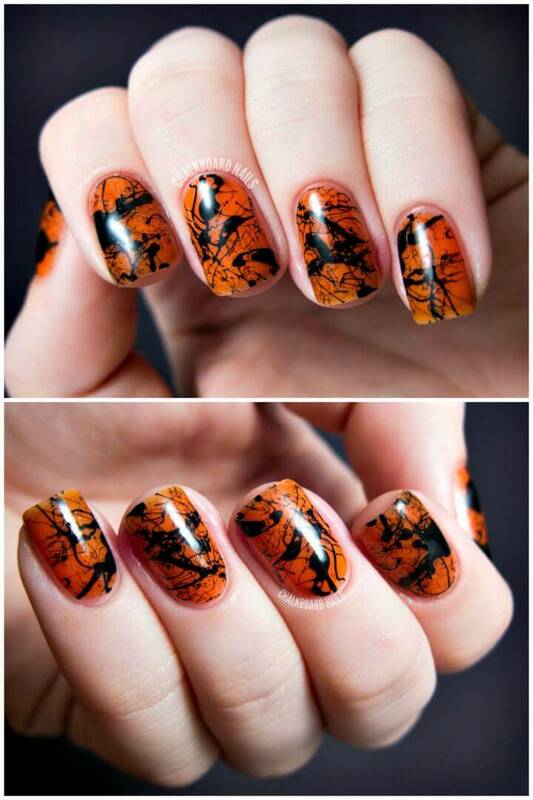 So, nail art really matter for overall grooming of women! 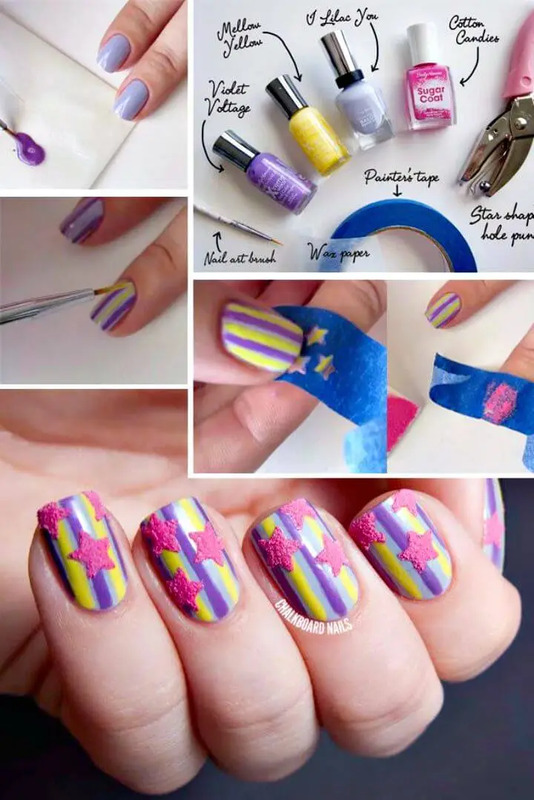 So, you can really do a lot of things to make your nails look special, like your make use of different colors nail polishes to match your nails to your outfits and other accessories and you can also paint your nails in so many different ways to make them look stunning! 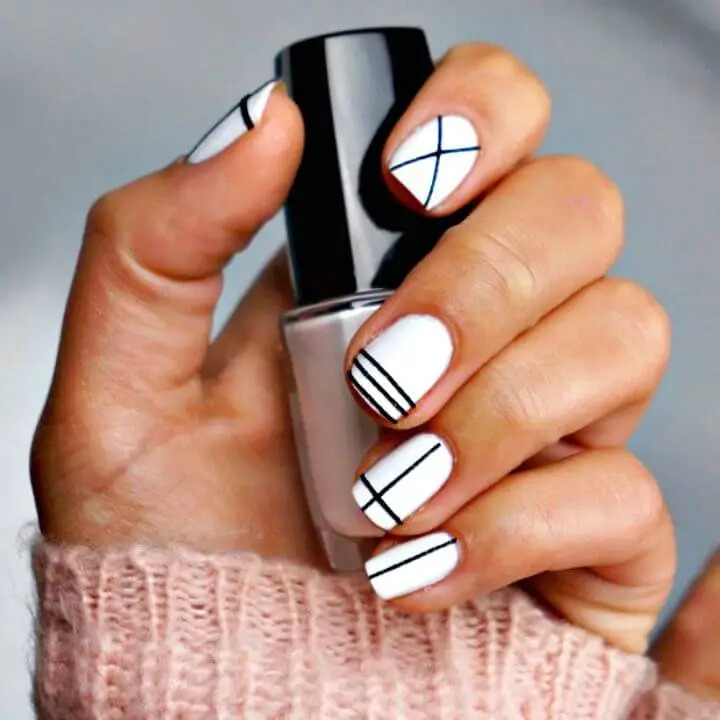 In this age of fashion, just painting your nails is not enough, now there is a trend to paint full artistic shapes, textures and patterns on your nails instead of painting some color block or few lines on your nails! 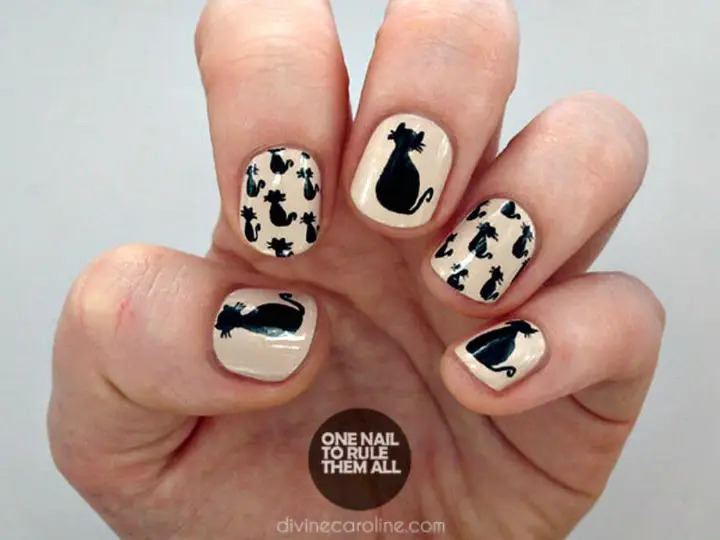 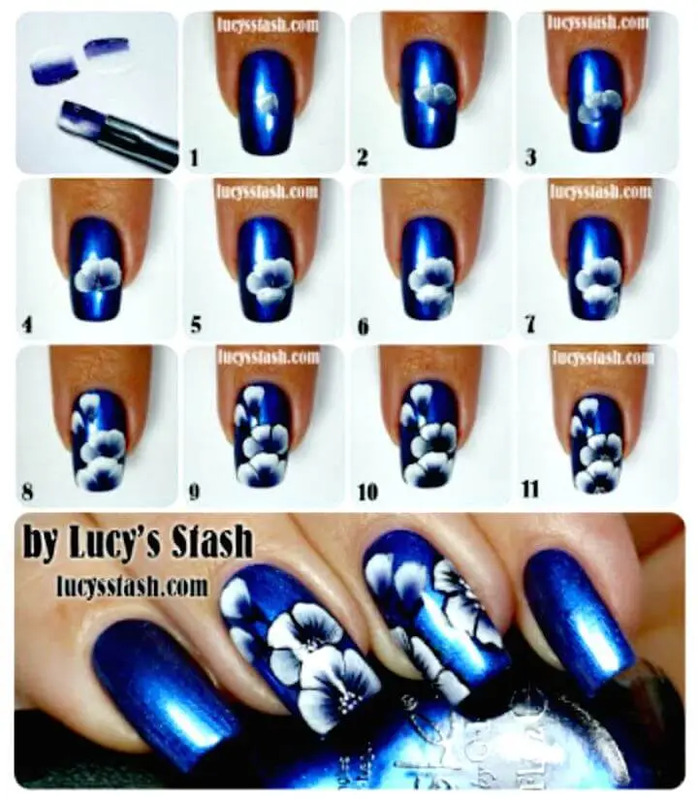 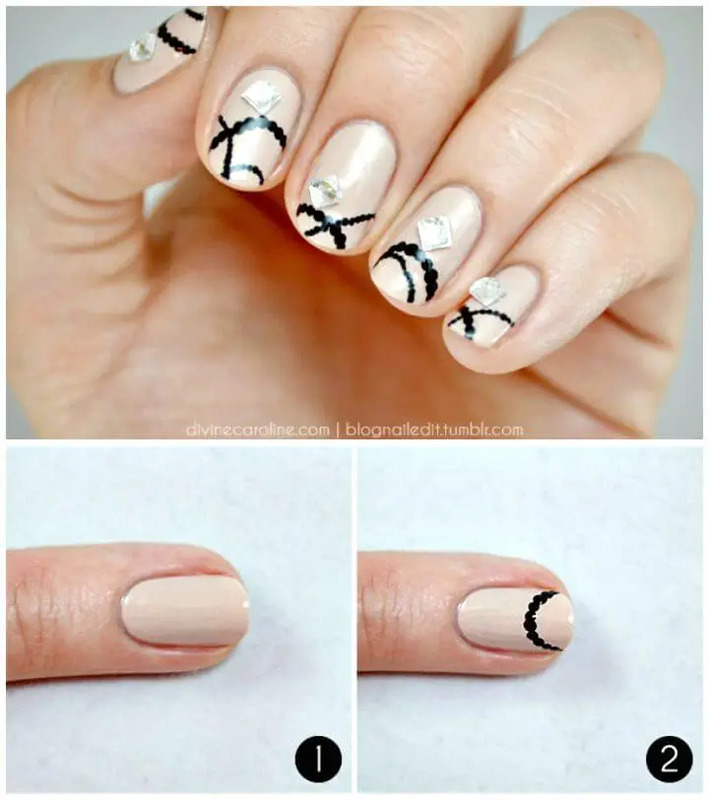 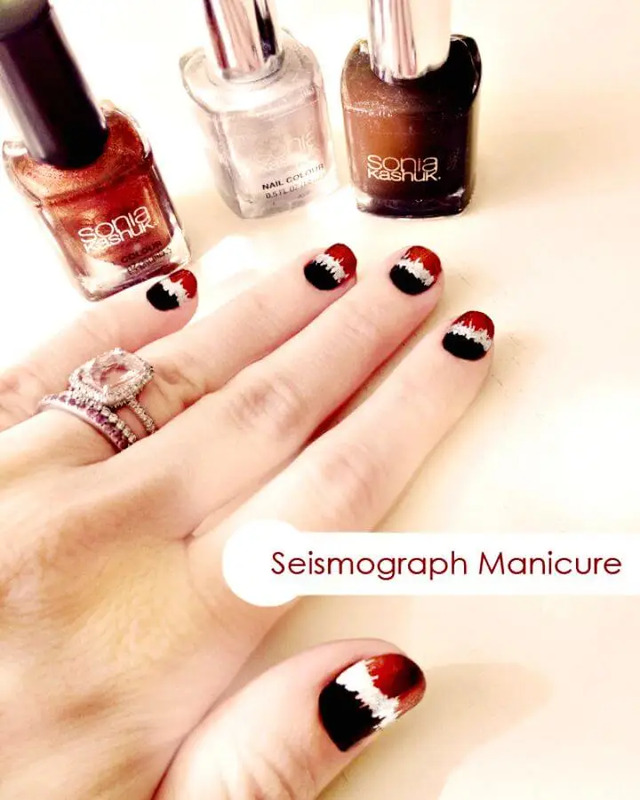 Nail art is a hot potato among the fashion loving ladies and here we have brought these DIY Nail Art Ideas / easy nail designs for all the fashion loving ladies and teens that will definitely bring the nail art game to next level! 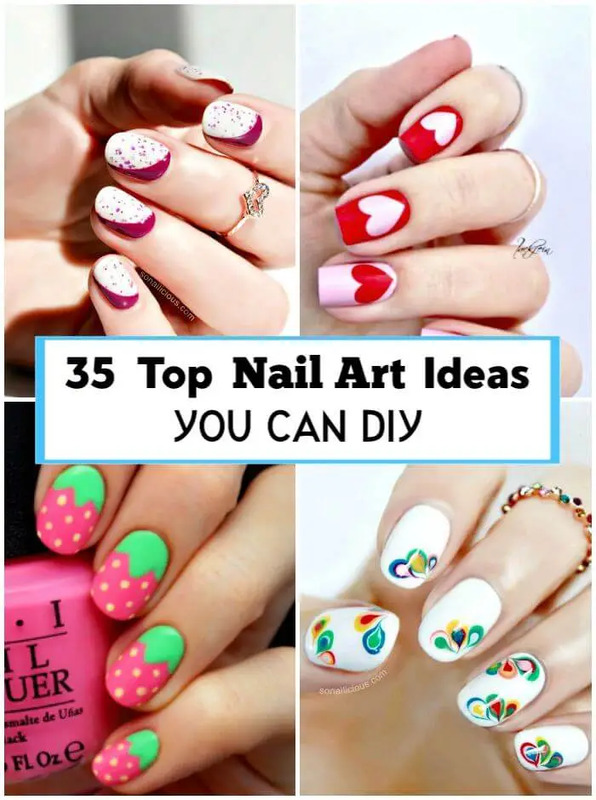 Here all these nail art designs and inspirations are really great and outstanding and would definitely put you in a big amazement! 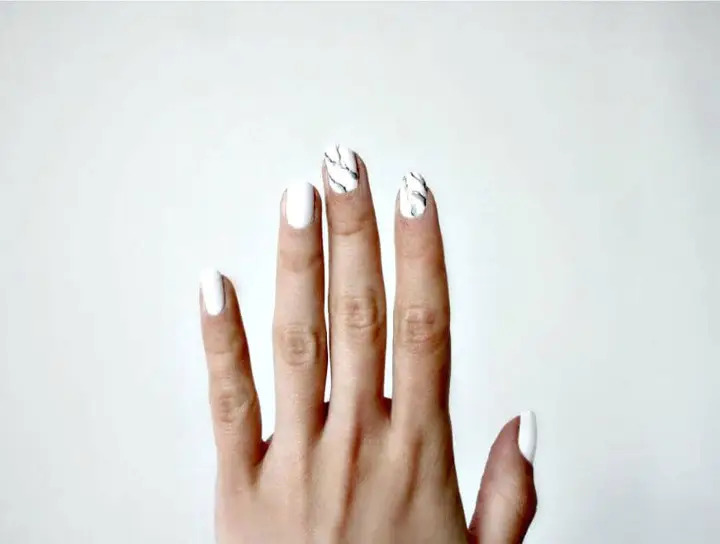 Here the list will play smart with the all the latest nail pampering tools and products that the famous fashion brands have been launched! 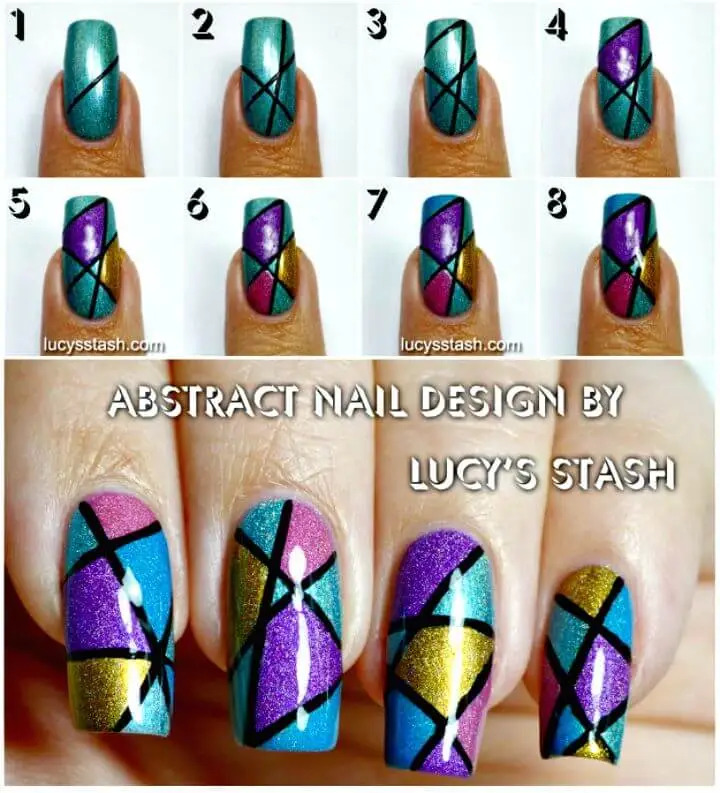 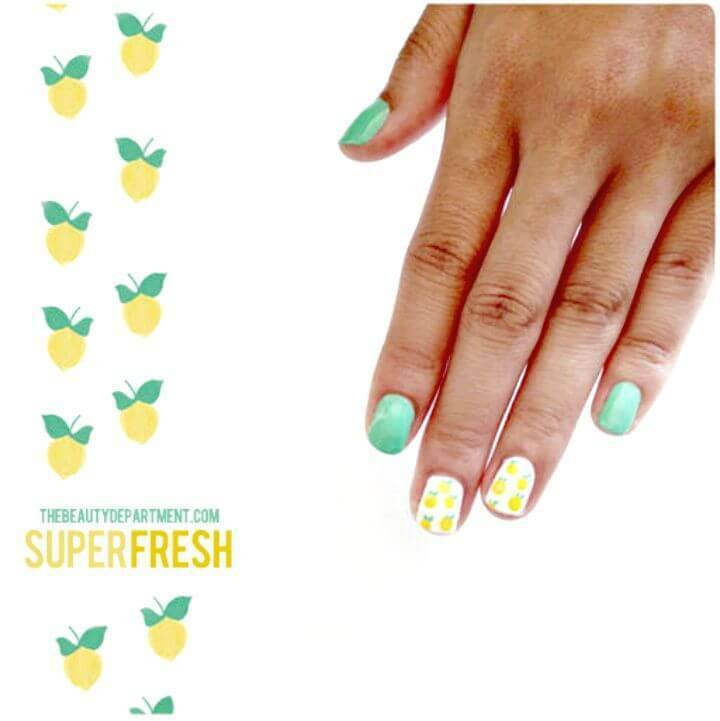 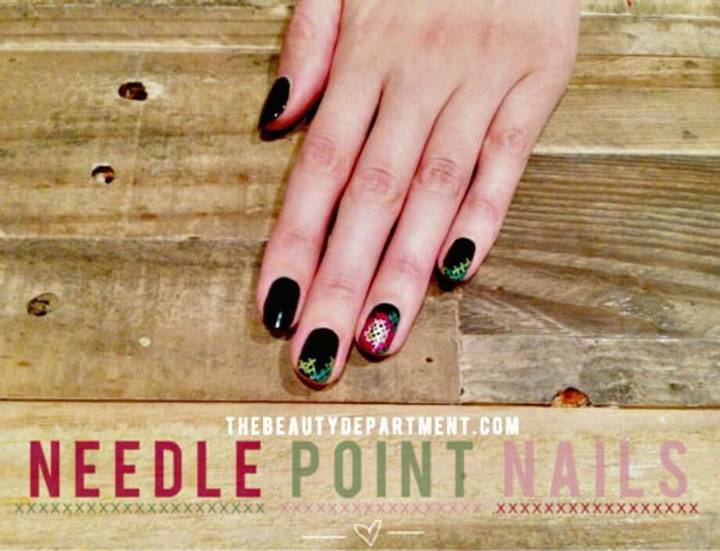 Create the precious sideways ruffian nails that will definitely eye-catching to eyes! 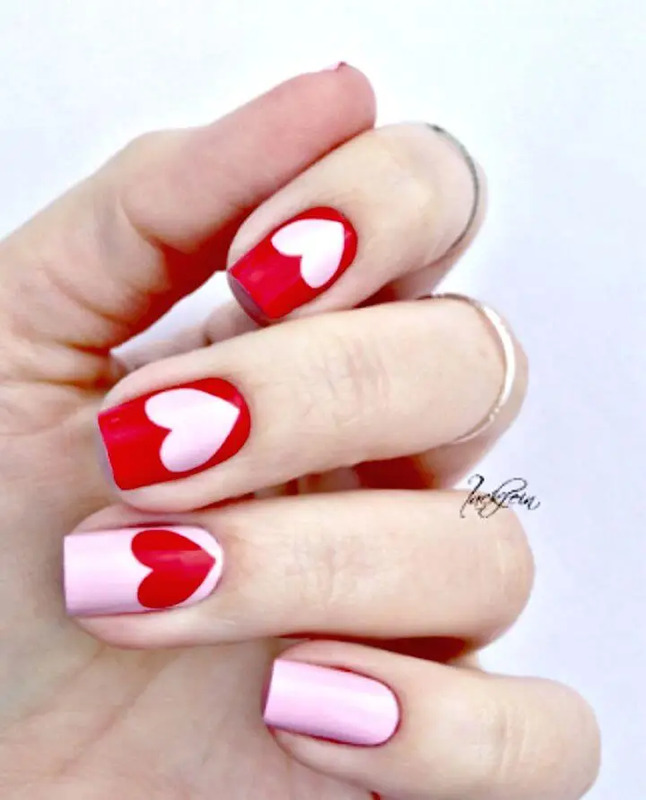 Paint the lovely heart art on your nails that will rock for the Valentine’s Day and also adorn your nails with the delicate lace stamping that would be super easy to paint on your nails! 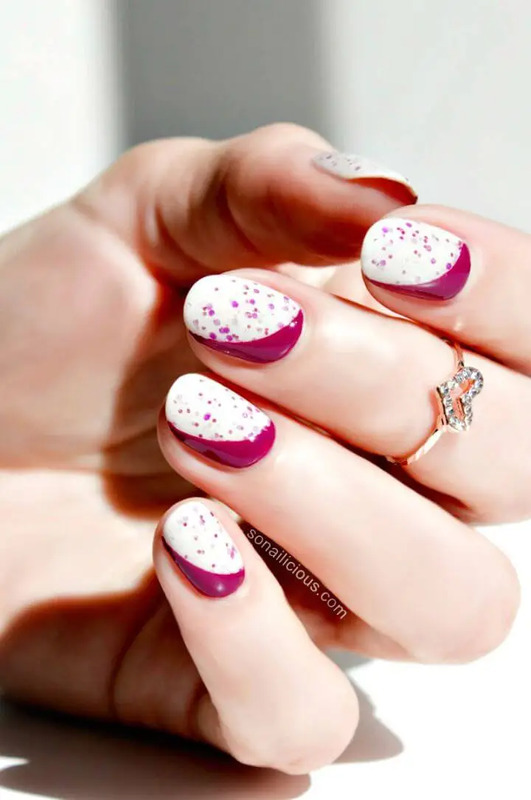 Paint the marble nail art on your nails with the dragged rainbow drops and also paint the galaxy nails that everyone will just look at twice! 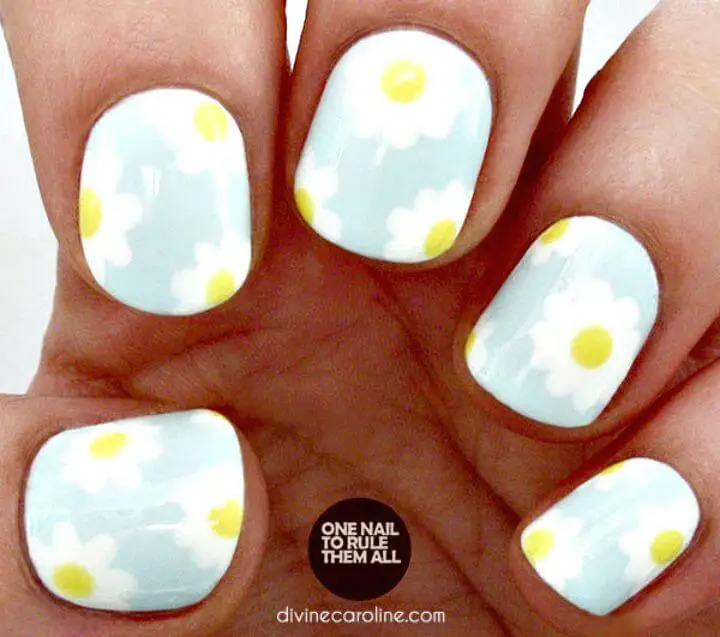 Paint the spring flowers on your nails for a precious floral nail art and also go for a flame manicure of your nails that will really highlight a unique personality of you! 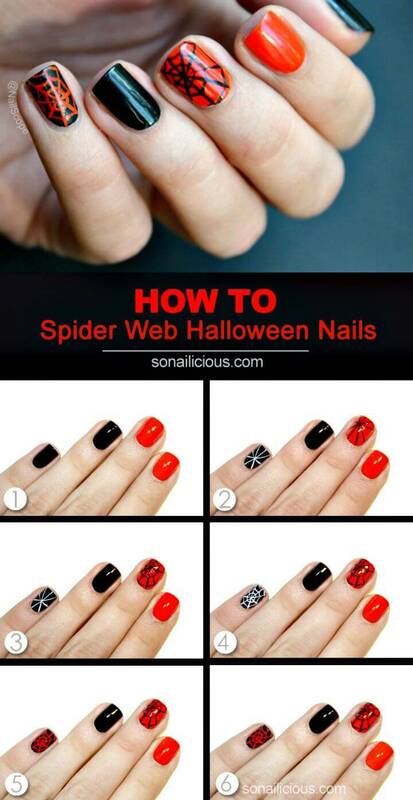 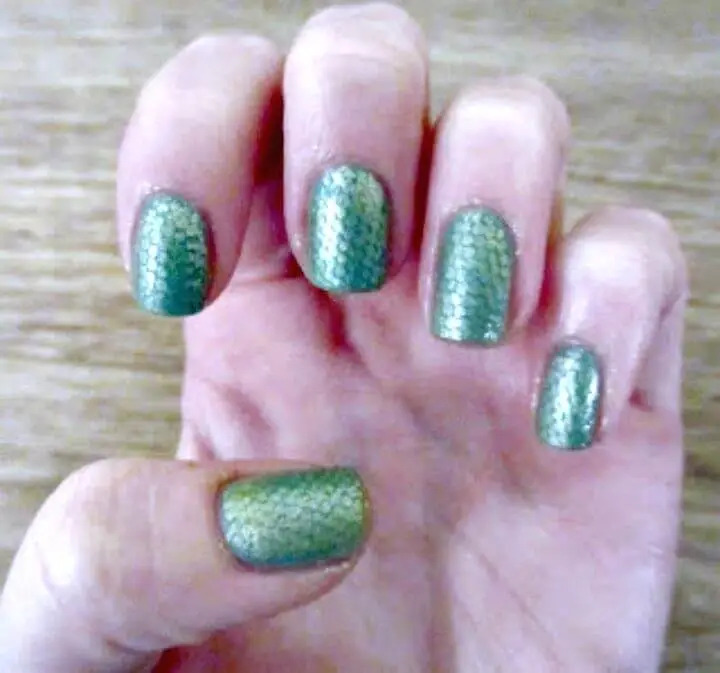 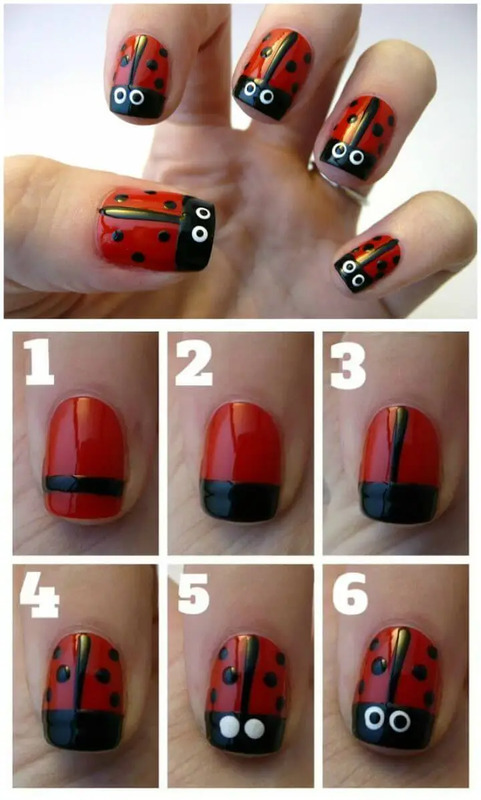 Paint also the ladybugs on the nails to make them look cute and also style up your nails by painting the enticing snakeskin nail art, just Check out some fabulous samples in the given below list and get yourself inspired! 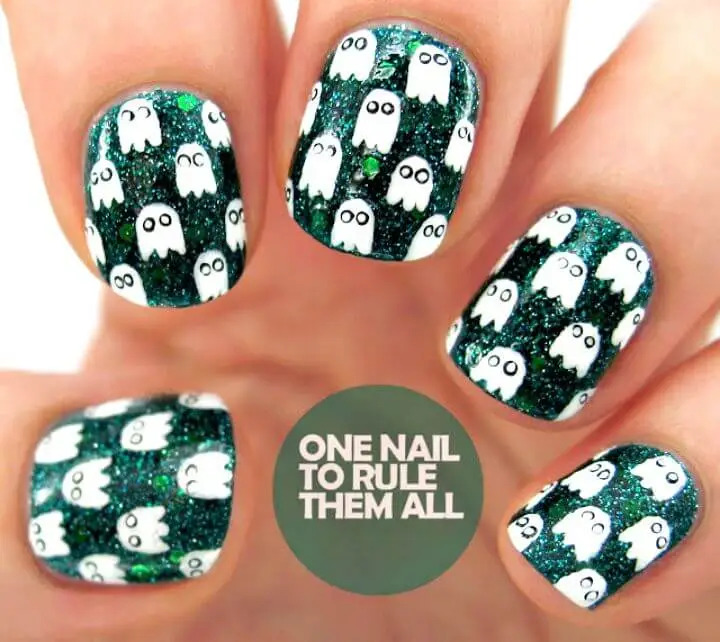 Browse the entire list to see dozens of more unique nail art designs and just to give a try to your favorite nail art design! 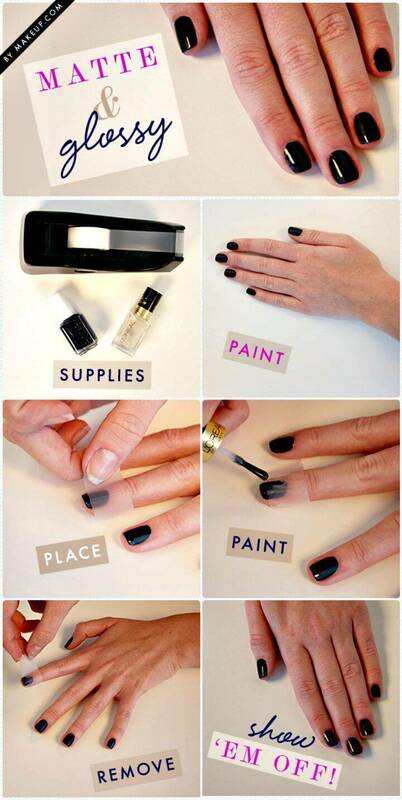 Hit the attached links to reach to full free guides, full free instructions and step-by-step tutorials!